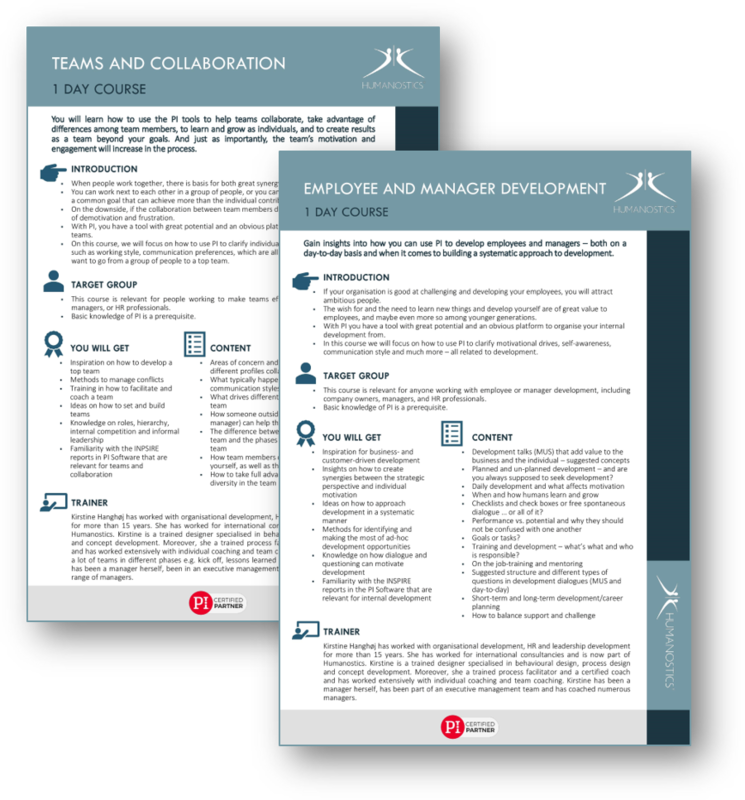 EMPLOYEE AND MANAGER DEVELOPMENT focuses on how to use PI as a platform for working with development in a strutured manner by clarifying motivation, self-awareness, communication style and much more. TEAMS AND COLLABORATION focuses on how to use PI to clarify individual differences within teams such as working style, communication preferences, which are all relevant focus areas when you want to go from a group of people to a top team. As your employees learn about themselves and each other, they can work productively and cooperatively. PI makes it easy to access custom-tailored reports to help managers, teams, and individuals work better together. When all your employees are assessed, they can start to speak in a shared language. Conversations become easier, conflict can be avoided, and decisions can be made faster. The PI assessments are much more than effective recruitment and selection tools, they can help you manage the talent in your organisation to optimise performance. By assessing all the employees in your organisation, you can use their behavioural data to improve collaboration and ultimately performance. Over the next few weeks, we will post a series of tips on how to apply and work with the PI Assessments Tools in different ways to get even more value from your PI license. Start by watching this short video teaser on the PI INSPIRE features. 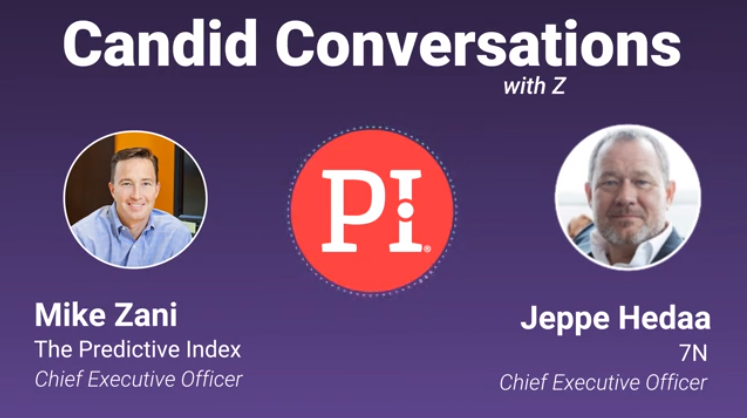 In this interview with ShippingWatch, Humanostics’ Managing Partner, Jesper Præstensgaard, talks about the importance of knowing your employees’ motivation in order to predict their performance and identify the talent, and how the PI Behavioral Assessment can be useful for just that. The interview is only available in Danish. 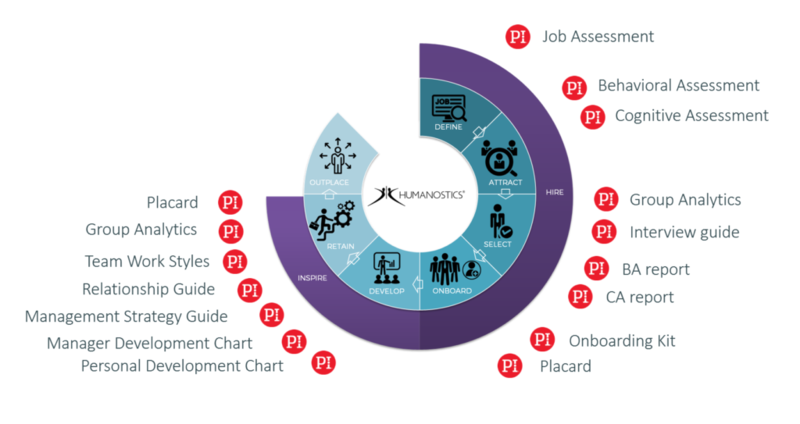 Humanostics is all about identifying talent! We are proud to be the sponsor of the Danish tennis talent, Holger Rune. Check out the video for more information on the cooperation! How do you create high performing teams.? Jeppe Hedaa (CEO of 7N) seems to have found a formula for evaluating and developing high performing teams. Visit PI’s blog to listen to the interview.